The Campus Safety Conferences are 2-day intense conference and training for administrators and public safety officials, technology directors, risk managers, security and law enforcement executives from all over the country looking for solutions to campus safety, security, emergency management and technology challenges. Desktop Alert Inc. will be introducing Metis Secure Solutions, a leading manufacturer of IP-based in-building and outdoor Notification Beacon™ solutions at the Campus Safety Conference East 2018. The show will take place on July 18th – 20th 2018 at the Hyatt Regency Dulles, 2300 Dulles Corner Boulevard Herndon, VA. Visit us at table #30. 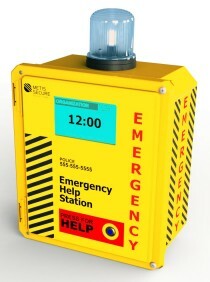 Attendees will be able to see first-hand how School Notification Beacons can help improve safety at facilities. Metis Secure has partnered with Desktop Alert Inc. to provide a new comprehensive approach to enhance both security and response during an emergent event. With active shooter incidents on the rise, security preparedness training integrated with the right security technology can be life-saving. 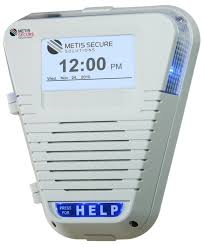 Metis Secure is the industry pioneer in network-based in-building two-way live voice alerting solutions and continues to be on the forefront of developing unique, innovative solutions that harness the power of IP-Based and wireless technology. The company will be presenting on its new approach to in-building and outdoor security.